Christchurch (New Zealand), 18 January — This will be my last entry in this season’s blog. I had hoped to tell a different tale the past two months —one of successful science being done in a harsh, remote place by hardy individuals dedicated to getting information that had direct relevance to your lives and the lives of others you know and will never know. But the field season unfolded in a vastly different way. I have prepared an outbrief for the National Science Foundation that speaks to the good and the bad, what went right and what went wrong, and how to use what was learned this season to improve our chances for success next season. That document is the official record and won’t be shared here, yet it contains no surprises from what you have read. For this blog, I want to be more reflective and to emphasize those more personal aspects of Antarctic field work. It takes a lot of people working together to undertake a project as ambitious and as challenging as this one. This season, a lot of us involved in various aspects of this enterprise came together and grew to know each other a lot better. We did not always see things the same way, but I think just about everyone came away with a greater appreciation for what the project is all about and what talents each player has contributed to the greater enterprise. This was most apparent at PIG Main Camp where the great distance from McMurdo provided a clarity of purpose that often gets muddled in McMurdo. Following our limited success in the final days, I was impressed with how the Main Camp staff shared their congratulations with us. That success made their efforts at camp worthwhile. Our assistance in many of their camp chores showed them that we appreciated their efforts. That is the magic of a deep field camp. Even the Twin Otter pilots, who only dropped in for two days, felt good because we accomplished some objectives together. I regret that the helicopters never came. I have little doubt the same camp magic would have occurred there, too. I question whether managers of the individual U.S. Antarctic Program components, who spend no time in the deep field, really understand how the deep field camps actually operate. There is a bonding motivated by the Antarctic environment that is much stronger in the deep field than in the more “civilized” McMurdo. Even large, multi-project camps can sometimes be absent of this mystic, but PIG is not of that ilk. You do not resent the person who has helped you set your tent, who you have helped shovel out a fuel bladder, who has watched you to make sure your nose is not frostbitten, and whose sled you have helped pull. The shared experiences bring people together and make for one. Every one of the camp staff expressed their hope to be chosen to come back next season. As will we. We will succeed. Despite the limited scientific accomplishments this season, we are better positioned (with all the camp material, most of the scientific equipment and scads of fuel already at PIG Main Camp to spend the frigid winter) and logistically wiser to design a better field effort for 2012-13. We have to—it will be our last chance for this project. We’ll use satellite imagery to give us an early look next October. In November, Twin Otters will be used to assess the surface character of the ice shelf and to deliver a skeleton crew allowing us access to the wintered cargo, the fuel and to start on-site weather observations. By December, before the main camp even gets set up, the drilling team will arrive and will be transferred to the ice shelf with the drilling equipment by those same Twin Otters. Building the Main Camp and transferring the helos out will come later, much later if need be. Fewer Herc flights, earlier traverses and more Twin Otter time is a much more palatable recipe. It saddens me to think that even today we should be working out of PIG Main Camp, making day trips to collect radar and seismic information on the shape of the ocean cavity beneath the ice shelf. Instead, our field team has disbanded. We flew to Christchurch together on Monday, but now we are scattering across the globe on various commercial airline flights. I’ve received word that the second traverse has arrived at PIG and this week there should be the final two flights pulling out the camp staff after they have put all the wintering cargo up on high snow berms. A recent satellite image taken last week shows the camp and the AWS webcam is still keeping watch from the ground. It looks like another beautiful day there. I’m not exactly sure how to end this blog. I hoped you’ve enjoyed the story. I suppose I could just say that we now reenter the planning phase. There is yet more pressure on us now because we have one more shot to get it right. I think we will, but as always, the big unknown is what Antarctica has in store for us next time. McMurdo (Antarctica), 14 January — Delayed flights seem to be the rule this season. Our flight to Christchurch was cancelled late Thursday night because of expected bad weather here. On the next try, there was a mechanical problem that required a part that had to be shipped to Christchurch, so I’m still in McMurdo. 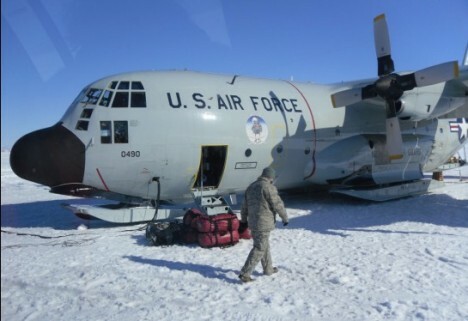 The next attempt by the C-17 will be to fly to Antarctica on late Sunday. If successful, we will board it in the early morning hours of Monday and we’ll be smelling the lush summer greenness of New Zealand five hours later. Let me return to the saga at PIG Main Camp. I left the tale at the point that I was being told on Friday, 6 January, that if the helicopters had not been flown to PIG by the end of the following day, they would not be delivered this season and my field team would be returned to McMurdo—game over, season ended. I objected—not to the date, nor to the conclusion that there would not be enough time to execute the drilling/ocean profiling part of the field work. What I objected to was calling a halt to other science activities that still could be supported with the helicopters. I pointed out that our second science objective did not require a separate camp on the ice shelf, but could be supported by day trips based entirely from the PIG Main Camp. In this case, four days would not be spent transferring people and equipment to the ice shelf camp, and another four days returning them. These could be spent gathering data from isolated places on the ice shelf only accessible by helo and everyone would be back in Main Camp every night. There were many days still left where important science could (and should) be done. 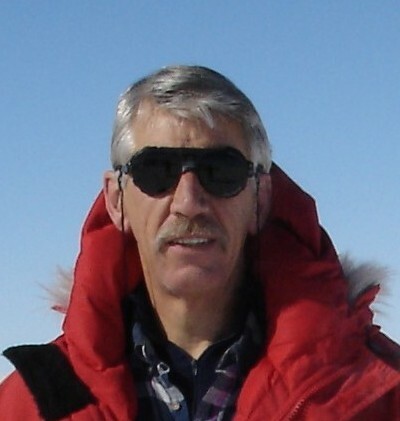 Better yet, by not having a remote camp that could only be pulled off the ice shelf by the helos, the helo schedule for disassembly for return to McMurdo was no longer at risk. But the helos still had to be flown out to PIG to do this work. “No” was the answer. I was stunned. Something very fundamental had failed to be understood while I was in McMurdo; our science program had many components and when I had presented our prioritization of the individual elements and focused on achieving the most important element (the drilling and ocean measurements), it did not mean that it was “drilling or nothing”. Once the drilling objective could not possibly be met, the next step was to consider how to achieve the next most important objective. Not only could this second priority objective be met (there were still nearly two weeks we could have worked on it), but the risks to the helicopter schedule were much lower. The logic was ironclad, yet no one in McMurdo supported my appeal to still fly out the helos. “No” remained the answer, and when it came from the National Science Foundation’s on-site head of logistics, there was no point in continuing to stress either the science to be gained or the reduced risk to the helo schedule. Most scientists will bristle when sound logic fails to persuade and so it was with me. This made no sense to me and I was not receiving any suitable explanation over the sat phone. Enthusiasm for this project on the part of the helo operators had noticeably decreased as the schedule delays mounted, but supporting this new science objective reduced their risk. However, I feel they now had what they wanted—a deadline that had passed that reduced their risk to zero and they would not let that go. Science wasn’t going to get done. That was my problem, not theirs. Nor did NSF seem to care enough to order the helos to PIG. ^%$^%#&*!! I was done, right? Not quite. I’m nothing if not dogged in my determination to get something to show for the extraordinary effort that had led to us being where we were. 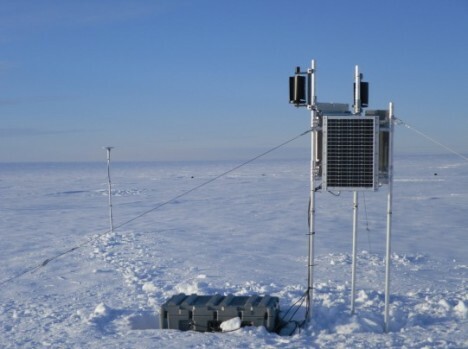 At the very bottom of our science priority list was the task of setting out five GPS receivers and seismometers on the ice shelf to monitor the flexing and cracking of the ice shelf that we think is driven by the spatial variability of the strong melting of the ice shelf’s underside. Because the Twin Otter had landed already in the area where these instruments could be useful, I pleaded for enough Twin Otter time to put out a minimal set of three of these instruments. I expected three days would be required (they had been willing to provide two days to help set up the drill camp, so I had some hope this would be feasible in their minds). There was silence on the phone, but shortly McMurdo voiced some willingness to consider this request. They would have to see if the impact of this new request could be accommodated, but they were optimistic. Whew, not much, but something! The next day I was told that we could expect three days of Twin Otter support to put in three GPS/seismic stations; not just any three days, but Monday through Wednesday, but that I should try to accomplish it in two. And it would start…tomorrow. The very next day?! I had to accept. We had to hustle to pull out of our cargo the required pieces (as the lowest priority activity, these pieces were scattered around and well buried in other gear) and pre-fab as much of the instrumentation as possible before the Twin Otter arrived. We worked late into the night and went to bed hoping that the weather improved enough that the Otter would come the next morning. Morning clouds parted quickly the next day and we heard to expect the Otter to arrive by 10:30 AM. We were (just) ready and had a quick conversation with the pilots about what we wanted to do to set out five (not three) stations. We loaded 1,500 pounds (680 kilograms) of gear and within 10 minutes three of us were off, bound for the ice shelf. The day was absolutely brilliant. Winds were calm and the temperature above freezing. I recalled the day almost exactly three years earlier when I had last been on the ice shelf and experienced similar weather. It took us a few hours to complete the first installation. While we were working, the Otter returned to the Main Camp and returned with Mike Shortt, our team member from the British Antarctic Survey, who had joined our group to make special radar measurements that, when repeated at precisely the same spots next year, will be able to determine the local rate of basal melt. We were done by mid-afternoon, so we returned to Main Camp, picked up a similar pile of gear for the second installation and were successful in getting that established, returning to camp for a late dinner. It was a heady achievement and everyone shared in the joy of it. We had been in Antarctica for five weeks. Finally, we had some science to show for the time. Our dinner respite was brief. We felt we had a good shot at getting our remaining three stations in the next day, but we had to complete the pre-fabrication on each of them. Oh yes, tomorrow was also going to be the day the Hercules helicopter came. This was the first Herc since we arrived a week earlier. It would not have the much-hoped-for helicopter on it, rather it was coming to deliver camp-take-down material and return six of our field team. The only scientists allowed to remain were the four who were putting in the stations. The others had worked all day reorganizing our cargo into pieces that either stayed for the winter, or returned to McMurdo and home institutions. It was a big job. Everyone worked well into the night. Some stayed up very late despite the bone-chilling wind to ensure that we were ready for both events the following day. The forecast called for good weather Tuesday, but when the day began, the fog was thick in the direction of the ice shelf. Not good. It was clear that my three days of Otter were counting down. A delay for weather and we would probably lose the Otter. The other science group at Byrd never wanted to see it go and was very anxious to get it back. Fortunately the Otter crew heard some encouraging words from the weather forecast center (in Charleston, SC) and by 10:30 was willing to try to get back to the ice shelf. We loaded the plane quickly and were airborne inside half an hour. The pilot found a way to skirt the fogbank and to our delight (and considerable relief) found our desired sites sparkling in the sun. Stepping out of the Otter, we were greeted again by warm conditions and very little breeze. Perfect! The third installation went in without a hitch. It was all I was approved to do, but we had the other two ready and I was not about to stop. We rushed back to Main Camp picked up the fourth kit and had it in place and collecting data three hours later. Because of the late start, the Otter crew was beginning to look at their watches to make sure they did not exceed their allowable hours. Travis, the pilot, told me that if we could install the final site in two hours, he would get us there, but when he said it was time to return, we had to stop right away. Confident of our increasing efficiency, I was game but I got a little concerned when we returned to Main Camp to pick up the final setup and discovered a big smelly Herc sitting in the fueling area. That was the one spot on the entire Antarctic continent where we had to be right then and it was taken! This was the Herc that I had so desperately wanted to bring a helicopter. Instead it sat there in my way, loaded with the remainder of our crew, taking them back to McMurdo without ever being given the chance to do the work they came to do. Out of the way! The minutes of delay seemed like hours, but the Herc evenutally vacated the spot. We loaded and refueled so quickly we almost beat the Herc into the air. The four of us were all primed to get this final installation done in record time and with the help of the Otter crew, we succeeded with time to spare. That was it; our season was over. Five weeks of plodding, waiting, anticipating, concluded by two hectic days of installing secondary equipment on the ice shelf. Nevertheless, something was far, far, far better than nothing at all. We were exhausted, the camp staff shared our joy once we returned, but again we had to forego a long night of sleep to ensure that we put all the tools and gear we had used the past two days in the right places and that what was to happen to every piece of our equipment was clearly understood by those staying behind to close down the camp. Each piece of winter-over material would have to be carefully arranged on a tall snow berm to (hopefully) survive the long, harsh winter. The next morning was our last at PIG Main Camp. Another Herc (the next to last for the season) would not come for seven days, so we were permitted to fly with the Twin Otter as it returned to Byrd Station. Much to our amazement, when we arrived there, we were told that a Herc was due in an hour. All we had to do was wait in the galley sipping tea and sampling their excellent baked goods. Three hours after boarding, we were back in McMurdo. McMurdo (Antarctica), 12 January — The optimists following this blog would have likely assumed that the absence of new postings this past week meant that we were finally in the field and that the work was finally underway. Those optimists would be half-right; we were at the PIG Main Camp this past week, but the work was not getting done. There is so much that transpired since my last blog post concerning the possible flight deploying us to PIG Main Camp that to avoid a very long story, I will start with the ending and fill in the middle bits as time permits in subsequent entries, ending with an epilogue. The helicopters never arrived, we were hammered by strong winds, a small subset of us installed some scientific equipment by Twin Otter to monitor the ice shelf, and we were ordered home much, much too early. The flight from McMurdo to Christchurch, NZ leaves early tomorrow morning. I’m manifested on it, have dragged by bags and had them taken from me, but because of some medivacs expected to be on the plane (burn victims from a Korean fishing vessel nearby), some of us may get bumped off the flight. I’ve been in McMurdo less than 24 hours. We arrived by taking a Twin Otter from PIG to Byrd Station yesterday, then waiting two hours and catching a Herc back to McMurdo. Jeez, connections like that just don’t happen in Antarctica (it was not planned). The Twin Otters were at PIG because I practically begged NSF to provide me with some resources to execute at least part of our science program. A decision had been made by NSF the day we left McMurdo that if the helos were not able to be flown to PIG by Saturday, January 7, this year’s field work would be cancelled. I was never told this directly by NSF (I’m still frosted about that), and the messenger couldn’t find me, so he told others in my group (also not the best approach—McMurdo isn’t that big that anyone can’t be found—and it was known when I would be heading for the skiway). So we actually did make it to PIG Main Camp on an early flight Tuesday, January 3. The weather there was beautiful—a slight breeze and brilliant sunshine. The camp workers provided a very nice reception; they were happy to have some working scientists on hand. The carpenters and camp staff had done an excellent job putting a camp together quickly and were still working on the last couple of buildings. The skiway was wonderful, allowing us to glide smoothly to a graceful stop just by the fuel pit. The combination of staff, carps and scientists added to a camp population of 35—too much for the small galley to accommodate at one time, so we planned to eat in shifts. We were given a quick orientation of the do’s and don’ts, the where’s and the who’s. Then we hustled off to set up tents, while the good weather held. The weather continued to hold for another day, but the helos didn’t come. The weather forecasts were dismal at both McMurdo and PIG, but in actuality, the weather remained good at both places. This was frustrating, especially when the weather the next day started to deteriorate. We worked through our cargo—some had not been seen for two years when we tested our equipment at Windless Bight—preparing for either helos or the Twin Otter to start moving us onto the ice shelf. Neither came. Weather worsened. And we were into our first storm warning. Camp prepared by putting many more flags out to help people find their way from the tent area to the stronger buildings. Most chose to ride out the storm in their tents. I built a pretty high snow wall. It was a noisy night with winds gusting to well over 40 knots, but no one had any hair-raising experiences. Lots of drifts built up and a few folks had to shovel them down once or twice during the night. Better weather usually follows a storm like this, but it didn’t lead to any flights coming our way. When Friday arrived, the great powers that control everything in the US Antarctic Program notified me that they had to talk to me. The message was a reminder of the “drop-dead” date. McMurdo (Antarctica), 30 December — Got up early again this morning, but to no avail. Nowadays, as I leave my dorm, my head spins right to look onto the ice shelf for any sign of fog. It’s become a habit now. This morning it is crystal clear. I can see the Pegasus skiway out there. When I reach the mess hall, I pause at the handwashing station to read the scroll on the TV with information regarding flights. And there it is—Mission E005 to PIG is on a “weather hold”. What that means is that we aren’t expected to appear for a shuttle ride to the skiway. We are simply supposed to wait until the message is updated. I call the Movement Control Center (MCC) and ask if they have any updated time for our transport to the skiway. They have to check with Air Services (this seems unduly complicated) for the current status. I’m told it is likely that the second mission to PIG today (carrying the helicopter), which was to be in the afternoon, will be cancelled and that our mission will slide to the later slot. The transport time for the later mission is 12:45 PM, so that’s their best guess of what will happen. About 15 minutes into a slow and sad breakfast wherein more of our group show up, that’s exactly what happens. We have another six hours to wait. I gather what information I can about PIG, but it is pretty limited. It is only just after 6 AM and the regular day workers are not in their offices yet. I go back to my room and catch a short nap. Later I reemerge and try to put together the story. The weather observations from PIG are indicating visibility limited to 800 meters, 18 knots of wind and blowing snow. The wind is not the problem, but the limited visibility is. It was the reason the flight was put on hold. The webcams indicate some reduced visibility, but a number of us are surprised it is being reported as only 800 meters (0.5 miles). We have little say in this—the eyes on the ground are gospel. It’s now just past 11:30 AM. Lunch has started and I need to plan for the transportation. I’m going to eat, then see what, if anything, has changed. We may still get our ride to the skiway—a none-too-pleasant 45-minute jostling—and it may come to naught, but it is all we can do at our end. McMurdo (Antarctica), 31 December — That close. We were that close to leaving McMurdo yesterday; literally, a few feet from the airplane. The day started early, but with great promise. Everything was going so smoothly. Everyone showed up for breakfast dressed for the cold weather, our flight lunches were ready for pick-up, transportation was on time and we packed into the monstrous Delta vehicle (a small compartment atop huge tires, designed to span bumps and holes in the road) for the 50-minute drive to Pegasus, the skiway on the McMurdo ice shelf. The only ones ahead of us were the flight crew, the cargo handlers and a few ice runway work crew. This was the last day before the 2-day New Year weekend. We counted ourselves fortunate to be escaping McMurdo and getting to PIG so we could begin sorting our gear and be ready for Monday’s first move onto the ice shelf. As we transferred from the bumpy Delta to the softer seats of the passenger transporter (used to take passengers from the rougher road traveled by the Delta onto the snow apron where the airplanes are), the pilot came over to say that there was a maintenance issue with the plane. It seems there are ten radios onboard and while all but one have backups, the one without the backup was the one that didn’t work. Maintenance was investigating. Just to cover themselves, the crew had also begun pre-flight checks on the only other airplane available. Usually a second airplane is not available, but PIG seemed to be the only spot on the continent scheduled to receive a flight that had good weather. It was a luxury and gave me more confidence that we were sure to get away. The race was not against the weather today, rather against time; the length of the mission would be over 11 hours and crews are not allowed to have their “duty day” (which starts when they first check weather reports) extend beyond 14 hours. So although it was still only 7:30 in the morning and the mission was set to launch at 0900, we could only delay two hours. If the mission couldn’t get off by 1100, we weren’t going. We waited in the very Spartan and deserted galley for further word. Pre-flighting the second aircraft turned out to be a judicious move. The radio technician identified the problem, but the replacement part was in Christchurch. The scramble began to get our five pallets of cargo off the first airplane and on to the second. We were called from the galley back to the transporter and were driven to the second airplane, so we could get on quickly once the plane was ready. We waited, and waited, and waited, mentally assisting each forklift that grabbed a pallet from the first plane and lined up in order to deposit it on the tail ramp of the second aircraft. Done. Now what? We stared out the windows, trying to interpret the comings and goings of the ground crew. I’ve taken countless Herc flights in my many years here and I have yet to understand all that goes on inside these Hercs as the crew prepares them. Too much time gone already as 10 AM came and went. Doubt started to seep into our once-excited conversations. Finally, the pilot (a large piece of Air National Guard beefcake) came out and tossed the heavy survival bags (the big red ones in the picture) through the crew entrance door. I joked that he was going to load us the same way. Our mood returned to a spirited banter and we rapidly made sure that our bags were zipped up and everything was set. We expected to be called to board any moment. That moment didn’t come, didn’t come and still didn’t come. 10:20 AM stretched to 10:30 and even 10:45. Opinions varied on the likelihood of success. At 10:55 AM, the pilot stepped off the airplane, strode across the few feet of packed snow to our vehicle and knocked on the door. When he addressed us, he didn’t mince words; we weren’t going, the mission was a “maintenance cancel”. He explained that the aircraft has two altimeters and that they are checked to be sure they agree to within 75 feet. These did not. Maintenance personnel had tried to determine why, but time had run out for the crew. Everyone knew what this meant; we would have to wait until Monday for the next try and bad weather was forecast to move into the PIG area on Sunday. This was a crushing blow to our hopes. As far as our project timelines go, the scrubbed mission only translates into a single day delay if we can work through our cargo at PIG faster. Mentally, it just dials up the pressure yet further. It won’t be a relaxed weekend. We can’t accomplish anything here.